Welcome to skiingproperty.com, specialists in the sale of skiing property based in London, UK. We offer an award winning Skiing Properties service helping you find the ideal Ski property. Please Contact us now to discuss your Ski property requirements. 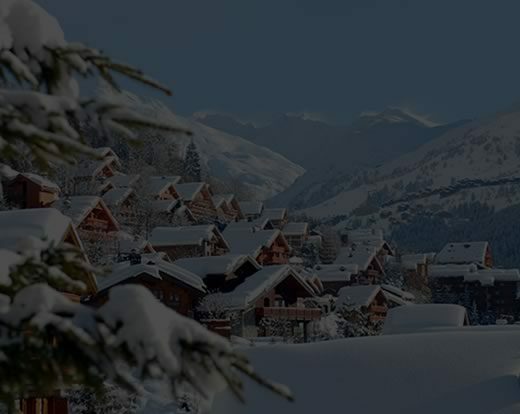 – specialists in new ski property for sale, here to help you successfully purchase your ideal ski property in the Alps. You only have to ask… and we will find your perfect ski property for sale. Skiingproperty.com is a boutique family firm run by two directors with extensive first-hand knowledge of the Alps, having built up relationships with leading developers over many years. Established in 2003, Skiingproperty.com specialises in attractive new-build and renovation development projects in key prime ski property markets. Based in London, we have colleagues stationed in all the right places to show you the ski properties for sale and with all the local knowledge you need to help you make the right choice for your future ski property purchase. Our insight into the market means that our ski properties are ones which give you the best rental potential or capital appreciation prospects. We have carefully hand-picked skiing properties for sale in the key resorts in France and Switzerland, so all you have to do is have a browse and see what jumps out at you. Whatever you’re looking for, whether it’s a classic freehold ski chalet or ski apartment (for use as a second home or holiday getaway) to investment-focused purchases with leaseback opportunities, take a look at what ski property for sale we have to offer. When most people think of skiing, they think of the charming, traditional wooden chalets and these can range from the ‘everything your heart desires’ to the more sensibly priced models… although even at the less extravagant end, they are not the cheapest forms of ski property for sale. Top of the range chalets could be plucked from your dreams, with plush interiors and in the best locations, of course. Not only will they be beautifully fitted out, but they’ll have heated rooms for storage, drying rooms for your wet ski clothes and even a jacuzzi or hot tub to bubble away those cold fingers and toes at the end of a hard day’s skiing. These luxurious ski chalets are usually found in the more expensive skiing areas like Val d’Isère, Meribel and Megeve, for example. So, you may be a traditionalist and prefer the old wooden ski chalet style, but don’t discount the modern ski apartment blocks as these have a lot to offer and can also often incorporate those extra features like a communal room for ski storage and lockers for keeping your ski equipment safe. This makes the best use of space so you don’t having wet dripping ski boots and skis on the floor, although you may still need to dry your clothes out on the radiators! They may be concrete apartment blocks (but quite often the no-frills look is a juxtaposition of what’s inside), but they aren’t always – sometimes you can have the best of both worlds which mix block and chalet styles. It really depends what you’re looking for, but it’s always good to keep an open mind. Ideally, we want you to buy your ski property in an area which works for you all the year round, as the summer attracts a whole different audience and you want to have somewhere which isn’t limited to just one season. So, try to look for somewhere with good local attractions, good summer sports options and a great community, particularly if you’re buying your ski property as an investment for others to enjoy, not just for you and your family. We can find you top quality new-build ski properties and a range of off-plan ski chalets and apartments. These may be leaseback or classic freehold, and many come with financing options – particularly helpful if you are buying your property as an investment for others to enjoy, not just for you. For most people, location is key – some want a ski in, ski out property but other people may prefer to be in the centre of the resort – just tell us your preference and we will do everything we can to find the right skiing property for you. For your peace of mind, we obviously perform our own due diligence on all properties that we sell and can connect you with established legal, currency, mortgage and property maintenance companies, should you wish. We can be as involved as you wish, and really guide you through every step. When you are ready to view a property, give us a call, and we can help arrange to meet you in the Alps, and have you met and hosted by our developer partners and colleagues. It can be a daunting prospect and to have a friendly face who can answer all your questions, however mundane you may think they are, makes all the difference. Do feel free to give us a call on +44 (0)20 8339 6036, the old fashioned way (!) or email us at info (at) skiingproperty.com with your number and we will call you back. “It’s good to talk”, as they say, and we feel it’s essential to get you the property you want at the right price. So if you make an enquiry, or leave us a message, we will always follow it up with a personal call. It’s the only way for us to really get to know you and for you to be certain we can get you what you want. We don’t understand people who ONLY work on email and we like to build up a rapport with you. The question we are nearly always asked is, “If we use skiingproperty.com to buy a skiing property, will we be put under pressure?” The answer is emphatically – NO. We believe in treating our clients the way we would like to be treated – all we ask is that you are serious and in a position to buy a ski property. To stay informed, read our regular blog updates, and for more detailed information, download our skiing property buying guide. We look forward to hearing from you and hope we can help you take ownership of one of the safest and most desirable types of overseas property investment.